British Prime Minister David Cameron announced on September 1 that British jihadists returning to this country would be forced to enter deradicalization programs. Now, the Danish government has offered a similar program to returning jihadists, without prosecution. A reasonable idea, one might think, and one that we may all hope is successful. But is this latest round in the battle against Islamic radicalism likely to be any more effective than its predecessors? Will radical Muslims — call them Salafis, jihadis, Islamic State fighters or what you will — line up to be deprogrammed and end up teaching kindergarten or devising a twelve-step program for their younger siblings now queuing to take their place on the front line between Islam and unbelief? The Prime Minister indicated that terror suspects will be placed under a Terrorism Prevention and Investigation Measures regime and will now be forced to engage in the government’s «Prevent» program, which tackles radicalization. This suggests that Cameron is sadly out of touch. 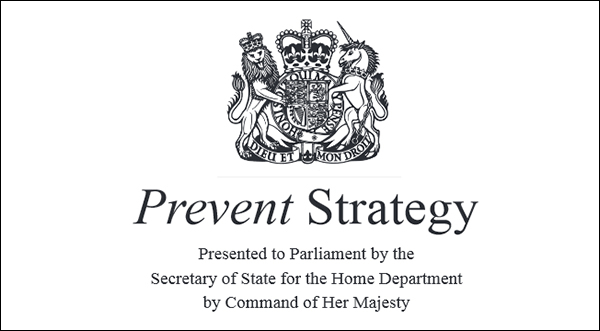 The Prevent program, introduced several years ago, has been described as an abysmal failure by commentators such as Douglas Murray, a Gatestone Institute Senior Fellow. Will radical Muslims line up to be deprogrammed and end up teaching kindergarten or devising a twelve-step program for their younger siblings? Britain’s Communities and Local Government Committee reported as far back as 2010 that, «the Prevent program was backfiring and it was difficult to know what good it was doing. On September 13, a 21-year-old British man from the Welsh capital of Cardiff, Khuran Iqbal, was sentenced to three years and three months in prison, after his arrest in Kenya in October of 2011, while trying to cross into Somalia to join the jihadist group, al-Shabaab. British security services became aware of him then, although on his return to Wales he was not charged. Instead, he was placed in the Prevent program. But that did not stop him. In 2012, he flew to Turkey with two friends, intending to reach Syria to fight jihad there, but was again thwarted. In the meantime, he posted 848 links online to violent material and kept copies of al-Qaeda’s Yemen-based magazine, Inspire on his laptop. The magazine contained instructions on how to make explosives and how to handle an assault rifle. Deradicalization was clearly ineffective, and three years in jail may radicalize him furtherand provide him with better contacts in the outside world to facilitate his next attempt to join a jihadi group. There have been other programs, including the Street Project, run in Brixton by Salafi activist Abdul Haqq-Baker, who has been working against the jihadi strand of Islam. He is the author of Extremists in Our Midst: Confronting Terror. But although the Brixton Mosque in Gresham Road (a venue mainly for black converts), where Baker was chairman, tries to maintain a moderate stance, it has received unwelcome attention from pro-terrorist radicals. Richard Reid, the «shoe bomber,» now serving three consecutive life sentences in Colorado, visited the mosque between 1996 and 1998. Zacarias Moussaoui, linked to the 9/11 attacks, and now serving a life sentence alongside Reid, attended Brixton from 1996-1997. Brixton mosque is not a radical center, yet, despite claimed attempts to preach moderation, some violent radicals seem to be emerging from there. How far can one genuine moderate turn an extremist mosque into a haven for a genuinely peaceful Islam? Al Furqan, a program run through the 200 or so Muslim chaplains in British prisons, offers some degree of deradicalization for those who have been tried and convicted of terrorist offenses. And there are genuinely moderate Muslims working for similar aims — men such as Haras Rafiq and Maajid Nawaz of the Quilliam Foundation, or the extraordinary Dr. Muhammad al-Hussaini, who was a Fellow in Islamic Studies at the Leo Baeck College in London, and who has given anti-terrorism advice to government and other bodies. Just this July, Times columnist David Aaronovitch complained, in «Moderate Muslims, it’s time to be outraged,» that there was no sign of moderate Muslim outrage about the Islamic State — the Muslim default position being victimhood. «It isn’t that some Muslim organisations aren’t trying. The two most recent campaigning statements of the Muslim Council of Britain concern condemnation of jihadi recruitment for Isis and female genital mutilation. They deserve credit for that. Why do Muslims — and others — take to the streets to condemn democratic Israel, yet never march to protest Hamas’s use of Palestinians as human shields, or the violence of al-Qaeda, Boko Haram, or any other jihadi group? Why not be angry at the way radical groups drag the image of non-violent Muslims in the mud? Jews fight against anti-Semitism, Christians denounce Islamic attacks on their co-religionists, but they do not do so as victims and do not point to their «victimhood» to permit themselves immoral or illegal acts. 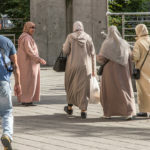 Many Muslims, however, complain about «Islamophobia» while ignoring the primary causes of hostility to themselves — 9/11, 7/7, ISIS, the beheadings, the massacres, the enslavement of women and girls, stoning, amputations and the visible hatred of so many Muslims to the West, to Christians, to Jews — yet many march in the streets of Western cities to praise genocidal movements such as Hamas. 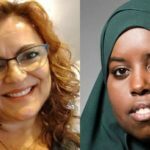 The problem is simpler than any politician or moderate Muslim or Christian outreach foundation journalist has ever been willing to admit: Many Muslims who want to turn young believers away from jihad or hatred of Christians, Jews and other non-believers are trapped. They are trapped because the Qur’an — the six compilations of sacred traditions (the ahadith), which make up holy writ, as well as the biography of Muhammad (the sira) — all condone or command jihad and hatred for non-believers, and they do so abundantly. Yet for some reason, commentators and politicians still wonder where the fighters of the Islamic State or the would-be assassins of Salman Rushdie or the killer of Theo van Gogh get their inspiration. It is hard for a young man, who wants to emulate the only «true role model,» to ignore Muhammad’s regular use of jihad; and even harder to be seen to contradict verses from what he and his community consider to be God’s word, the last divine revelation to mankind. Moderate Muslims interpret this to mean that fighting is only permissible if Muslims are being persecuted. But we know that Muslims all around the world consider themselves to be the victims of the West, the USA, Israel, France, the UK and scores of other places. They see Zionist and CIA conspiracies everywhere. And so a young Muslim man who sees the world through such a lens will easily turn to this and many other verses to justify his desire to wage jihad. 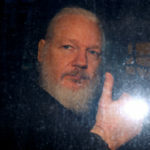 He may feel persecuted even when he is not, and he may find confirmation in the frequently violent history of Muslim conquests and the jihad wars throughout the Muslim empires. It is painful to draw attention to this problem: it seems like the sort of Islamophobic rhetoric so easily found, say, in the extremist writings of other groups or the slogans of the English Defence League. But as a secular humanist and an academic, I have no interest in covering up facts. This is one elephant that threatens everyone in our room, Muslims as much as non-Muslims. And herein lies the irony. There is a great deal of complexity in learning how to interpret the Qur’an and its traditions in a manner that eliminates jihad from modern discourse. The average mosque imam may not have the skills — or possibly the will — to do so. 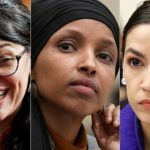 Too many of them seem disposed to interpretations that expresses hatred towards Christians and Jews that trump interpretations that express a favorable attitude. In addition, there was a tradition in Islam of abrogating the kindlier passages in the Qur’an early on. Further, passages such as the following do not help: «O believers, do not take the Jews and the Christians for friends: they are just friends of one another. If anyone among you treats them as friends, he is one of them himself. God does not guide the evildoers.» (Qur’an 5: 57). The problems that verses and utterances like these cause for reformist Muslims have been tackled by a range of modern intellectuals and religious scholars such as the Indonesian Nurcholish Madjid, and the Algerian philosopher and theologian, Mohammed Arkoun. The late Egyptian cleric, Mahmud Shaltut (d. 1963), also addressed the issue of jihad openly in a treatise entitled, The Qur’an and Fighting, in which he argues against the use of force to spread the Islamic religion. Shaltut became the leading scholar of the Sunni world as Rector [Shaykh] of Cairo’s al-Azhar University, the most prominent institution of Islamic learning internationally. Even so, in 1957, seventeen years after he wrote his call for limitations to violence, he spoke in favor of the violent elimination of Israel. His successor as Shaykh of al-Azhar, Hasan Ma’mun, also asserted that the only solution for the Palestinians was to recover their land by force. One year after the 1967 war, a conference convened at al-Azhar under Ma’mun declared that jihad was again a duty for all Muslims. The influence of reformist intellectuals outside like-minded circles has been limited. It is still risky for anyone in any Muslim country to call for a new approach to the most sacred texts. More than that, the kind of sophisticated argumentation used by writers such as Arkoun is beyond the range of the traditionalist imams who dominate most British mosques. Few are able to challenge any bright young pro-jihadist who knows his Qur’an and hadith texts well enough to counter any rationalization. Aisha Bewley, the translator of Ibn Iyad, is a remarkably erudite woman by any standards, with a long list of original works and translations to her credit. Such radicals believe that Muslim leaders who work with Prevent or other government-subsidized schemes are working hand-in-hand with anti-Islamic forces and are undoubtedly co-conspirators with the despised Zionists. If the issue of the actual probability of deradicalization is not addressed openly, and its many complexities brought into the cold light of day, it will fester. Since the start of deradicalization programs, the number of radicalized young Muslims has risen. Some 500 British jihadists are reckoned to have joined the Islamic State at some point, and many are returning to Britain. Indoctrinated in the Islamic law of jihad and conversant with the fighting verses of the Qur’an, these young men and women are a match for those who peddle a quietist form of the faith. We deeply need to find a way that leads, as Salman Rushdie once requested, to a wholesale reformation of Islam — an Islam in which believers make friends with Jews and Christians instead of leaving home to behead them. James Foley was a Christian, Steven Sotloff a Jew. Another Christian has also been beheaded, and just this month, several Canadians killed and injured. How many more people will die before British Muslims are brought face to face with the problem in all of our sitting rooms? Dr. Denis MacEoin is a former lecturer in Arabic and Islamic Studies and a Distinguished Senior Fellow at the Gatestone Institute. Ibn Kathir, Albidaya wa’l-Nihaya, vol. 4, p. 179. For an English translation of this short treatise, see Rudolph Peters, Jihad in Classical and Modern Islam: A Reader, Princeton, 1996, pp. 60-101. On Shaltut, see Kate Zebiri, Mahmud Shaltut and Islamic Modernism, Oxford, 1993. Ghada Hashem Talhami, Palestine in the Egyptian Press: From Al-Ahram to Al-Ahali, Lanham MD, Plymouth UK, 2007, pp. 200-201. Islam og dreping av "uskyldige"